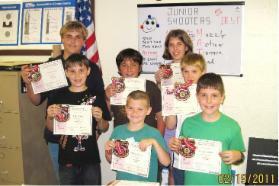 Learn Pistol/Rifle Safety, and Shooting Skills. Pistols/Rifles and Ammunition supplied by club. Receive student packet, certificate and qualification patch. NRA accredited, taught by NRA certified instructors. HRPC will provide all the equipment necessary. Please email the club to confirm a slot for classes.